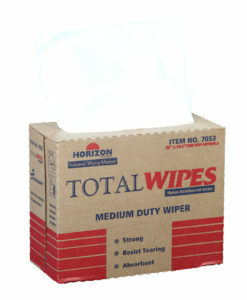 Horizon’s Total Wipes is optimal wiper to use when you need a stronger than average wiper. 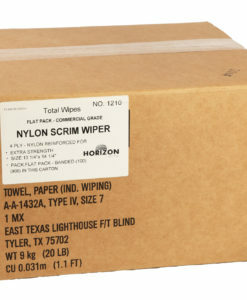 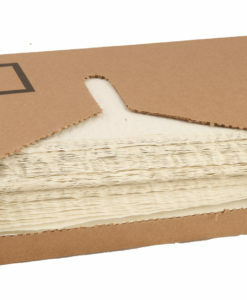 Each wiper is engineered with 4-ply tissue and then reinforced with nylon scrim providing additional strength for tough tasks. 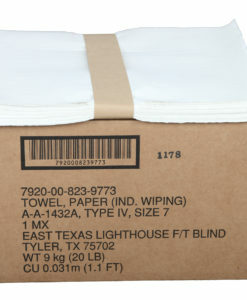 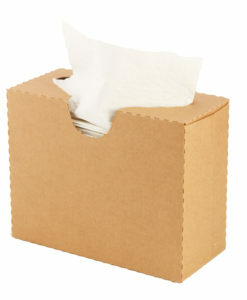 Count on the Total Wipes to be strong, resist tearing and extra absorbent especially when you need that extra cleaning power.